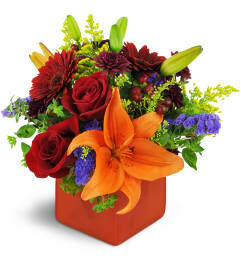 Modern, colorful, and full of the glory of Autumn - what more could one want to celebrate a special day? 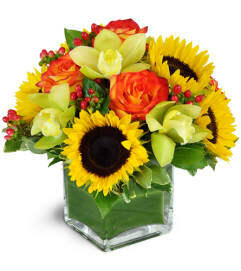 This arrangement absolutely bursts with wonderful fall-hued blooms. 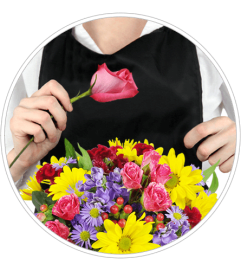 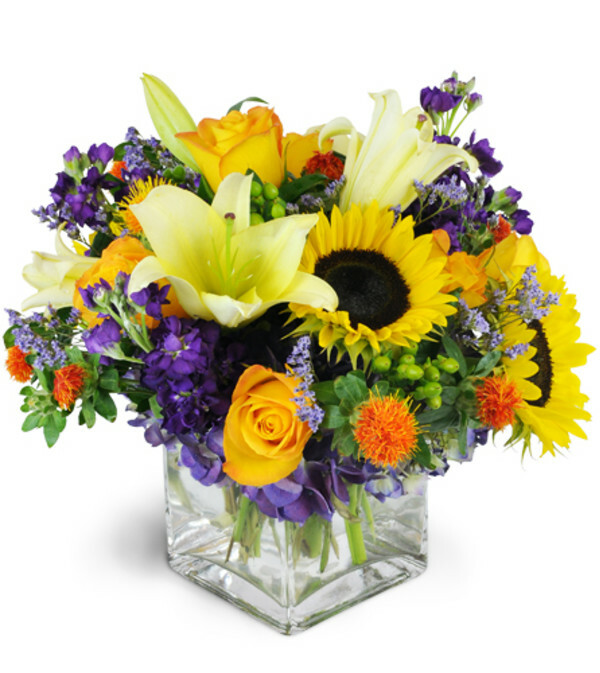 Sunflowers, lilies, roses, safflower, and so much more are artistically arranged in a modern cube vase.